Illegal raves are popping up all over London, the world’s fifth richest city, where tension is running high between the haves and the have-nots. Each party, hosted by the enigmatic DJ Alchemy, leaves a trail of destruction in its wake — all thanks to Super D, the latest designer drug on the party circuit. 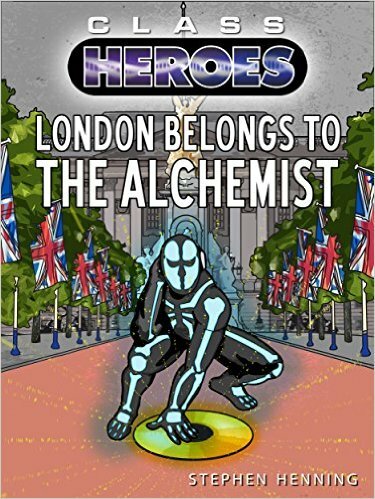 It’s love at first sight for Samantha Blake and DJ Alchemy, but the DJ has a superpower of his own and a plan for London that Sam can never be a part of. Meanwhile her twin brother, James, can’t stop himself falling for public enemy number one Lolly Rosewood. James thinks she’s a reformed character… but has he just been blinded by love? While the city descends into riots, the twins’ bond is tested as they’re torn between their loyalty to each other and their new relationships. And in the shadows, a gangland drug lord will stop at nothing to get his hands on the twins, DJ Alchemy and the precious Super D.